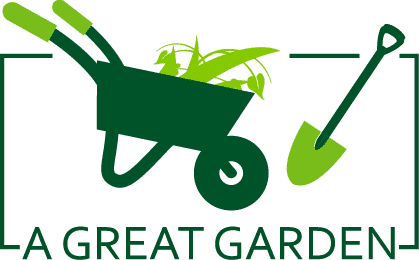 For gardeners and landscapers, the importance of a quality wheelbarrow is critical. 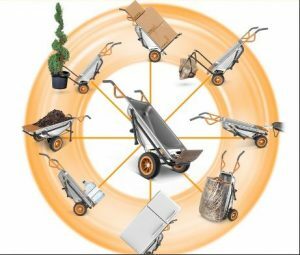 Important qualities when considering the best wheelbarrow for the money are weight, durability, maneuverability and, of course, price. Here I have discussed some wheelbarrow that have high performance with low price. Let us discuss on it. This is a small sized, lightweight two-wheeled cart with a fold down dolly and extension arms. The two-wheeled design makes for greater stability and balance. The solid tires never need inflating and the durable, all-steel construction has a weight capacity of 300 lbs. This cart is great for smaller adults or children doing light garden or landscaping tasks. Duo to its 08 multipurpose capacity, worx is the best wheelbarrow ever. Worx aerocart is the most expensive on our list though it has multifunctional facility. 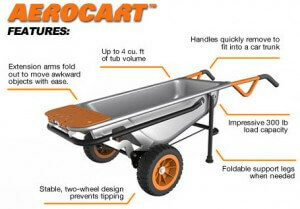 Worx aerocart multi-functional wheelbarrow is one of top selling wheelbarrow brand. Pros: Dolly and extension arms for carrying; solid tires, Multi-functional ability. Cons: Very small in size, better suited for a small adult or child; small carrying capacity, price is higher. Read details on worx multi-functional wheelbarrow review . This item is the cheapest on our list. 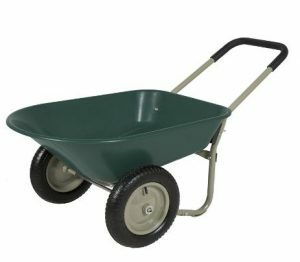 The best choice products wheelbarrow is very durable and has a deep tray that allows for 5 cubic feet of space to be used.This green lightweight wheelbarrow comes with a looped handle which allows for it to be hung on the wall, great for storage. The wheelbarrow is constructed from powder coated steel, polyurethane, & rubber for a rust proof performance. Pros: Sturdy and balanced with the 2 tires so no tipping; cheapest on our list. The Marathon Yard Rover features two, air-filled wheels, making it easier to lift, balance and maneuver. This lightweight cart also comes with a looped handle which allows for it to be hung on the wall so there is no need to dedicate floor space to it. Marathon yard rover features a 5-cubic foot plastic tray and 300-pound load capacity. This wheelbarrow is reasonably priced. Another very nice feature about this wheelbarrow is it comes is a variety of colors, which is always nice for gardeners that like to color coordinate with Mother Nature. As a prominent producer of wheelbarrow, Marathon is one of the best wheelbarrow on the market. Pros: lightweight; sturdy and easy to balance; comes in different colors. Cons: smaller in size, best for home and garden use; air filled tires. When looking for the best wheelbarrow for the money, don’t discount this little cart. The Bosmere is a little different as it is designed to be smaller and very lightweight. This little cart is great for in the house use as well as in the garden. The storage requirements for this little cart are almost nonexistent as it folds flat. 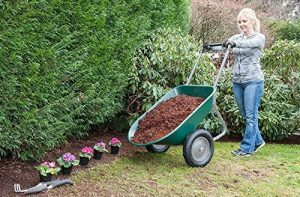 Bosmere folding wheelbarrow has solid wheel tire that won’t deflate and a PVC backed polyester bag with wipe clean surfaces along with three storage pouches on the back of the bag for small tools. Pros: very light weight; very easy to store as it folds down; solid wheel tire; good price. Cons: less durable due to cloth tray. With this cart we go back to a classic style of wheelbarrow with a metal tray and the one wheel design. The one wheel design makes for greater ease with unloading. This wheelbarrow has a huge hauling capacity with its 20 gallon tray. 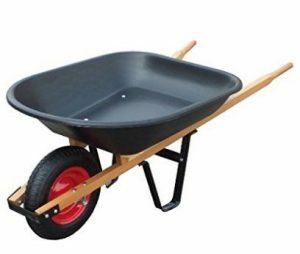 This wheelbarrow is very easy to maneuver with its one tire and is very sturdy with its steel frame. The steel tray is a huge pro if you need to haul heavier materials like brick or stone. 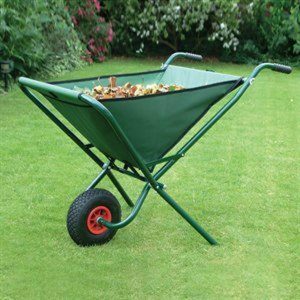 These affordable wheelbarrows come in a variety of sizes and shapes to meet the individual needs of the gardener. Whether you are hauling brick or dirty laundry, finding the equipment that fits your needs is easy. Among all these 05 brands, worx aerocart. is the best wheelbarrow in the world. For more from Craig, check out some awesome landscape edging ideas. Craig is a contributor and editor at Everything Backyard, a gardening and backyard website that covers everything from gardening tips to backyard projects. He loves to spend all the time he can outdoors and find every excuse to leave his house. If you can’t get a hold of him, he is probably on a trail or a boat.